When I was in my twenties, I talked a lot about how I didn’t regret any of my past mistakes. Believing that it made me neat and unique to own up to my quirky foibles, I often waxed poetic about how, if given the chance to go back and do things over, I simply would not. I would interject this sentiment in almost any scenario. Friend 1: Do you know if the Red Line runs express when it’s not rush hour? Friend 2: I’m not sure, let’s check the CTA website to see. Me: One time I told an ex-boyfriend that I liked his best friend better than him. I don’t regret it. Yep, I was YOLOing back when that God-forsaken acronym was just a glimmer in a Forever 21 exec’s eye. The thing about being in your twenties is that you don’t really have much to regret because you’re still a vessel of optimism. You believe that you’re impervious to your own mistakes and character flaws. The only thing differentiating a twentysomething from a baby intent on sticking a fork in a wall outlet is that the baby hasn’t yet purchased non-plastic, electricity-conducting cutlery. (Actually, when I think about it, the 22-year-old probably hasn’t either. So I guess there is no difference at all.) It’s easy to say that you don’t regret blowing $5,000 on handbags because, in your twenties, you have not yet amassed enough life experience to know that that money is likely best saved for the replacement sewer line you’re going to have to put in when you’re 33, standing in your kitchen ankle-deep in raw sewage. In your twenties, you’re still under the illusion that you’re plastic enough to bounce back from any truly awful thing you do or say. You can shake it off, for tomorrow affords another opportunity for you to re-assume your awesomeness. That wrecked car? Pffft. Deep down inside, you’re a good driver despite your proclivity to text on the interstate. That accidentally drunk Tuesday night? Your ever-youthful liver will flush that right out of your system. Then come the Dirty Thirties. Aaaaaaand THIS is your LIFE! That’s when you realize that all those crappy things you did all those times were totally you. That was not naive you or drunk you or insecure preteen you. Thirty is the decade when you realize that you’re kind of stuck with what you got. You were awkward when you were a teen and you’re still awkward now. 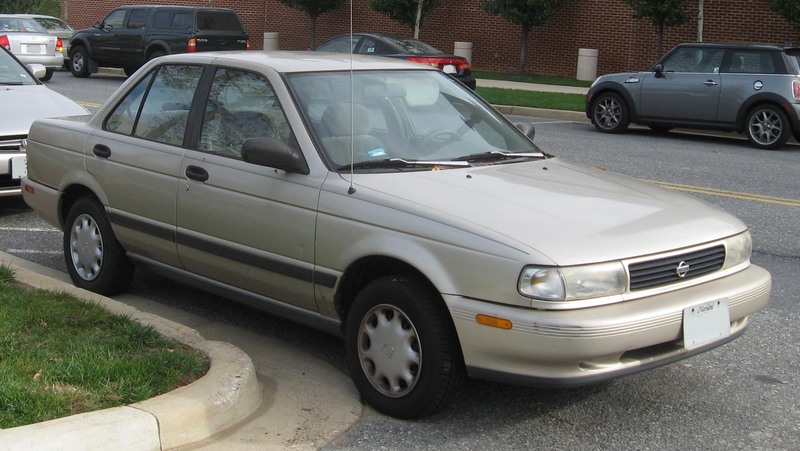 Your identity is essentially a 1994 Nissan Sentra: you figured that you would’ve upgraded to something better by now, but your bank account is telling you otherwise. You still run and function fine, but that stain on the passenger’s side seat isn’t going anywhere. Your thirties are that special time when you embrace the highly-flawed hand you were dealt. I realized this when I was out with my husband and a friend of ours the other night. We were having after-dinner drinks and our friend was speaking from the heart about his conversion to Judaism. It was one of those moments of truth when I wanted to respond with something that was reverential, kind, thoughtful, and inquisitive all at the same time. Being a 33-year-old woman, I would surely be able to swing it, since hopefully I have grown out of my awkwardly-talks-about-that-time-I-worked-at-the-Gap-whenever-I-can’t-think-of-anything-else-to-say phase of my twenties. That’s cool. Our daughter likes to go swimming at the Jewish community center. Yep, that’s what I got. And I kind of hated myself for my vapid response. Am I as boring and awkward now as I was ten years ago? Maybe. But the cool thing about my thirties is that now I can actually own it and move on with the knowledge that even if the people around me are judging me, at least I like myself more than I did when I was 22. Whoa. That JCC comment… Damn, girl. You’re DEEP! I know, right? Good to see all those philosophy classes I took in college (and am still paying for) have served me so well. I regret all the time I’ve wasted regretting things. DANG IT. You know, you are not the first to tell me that the 50s are the best decade. It’s like you’ve finally, completely come in to yourself and can enjoy everything you’ve worked so hard toward. Not gonna lie, I can’t wait! Plus, by then, maybe I will be paid off my student loans. Nah, who am I kidding? C will be paying those off into *her* retirement. Wait til you get to your 40s. And when you get to your 40s, you won’t even hate yourself for your vapid response. I’ll be busy hating all the newfangled slang of the young folk or something. I’m not even in my thirties yet and this is already happening. What will I do in my thirties if I’m not having existential revelations? BLAH! That’s good, though! That frees up time in your thirties to go to Target and find the best deals on Ziploc bags. Once I accepted the reality that I no matter how old I get, I will ALWAYS be that awkward fourteen-year-old on the inside, life got better. No more pressure to grow up and be different. There’s something to be said for keeping expectations low. I think you’re pretty great. If I grow up to be half the awkward fourteen-year-old that you are, I’ll consider it a personal triumph. Nail, the hammer just hit you on the head. My thirties were pretty good, primarily because I spent most of my twenties in a full-blown manic state. Fifty is the age of denial, I think. I don’t FEEL old, but, well, if I’m middle-aged, I’m going to die at 114. You have it in you, Janice. See you in 2060. I’ve been in my 20’s for just over 20 years now. Still enjoying the hell out of them. What? You’re only one age? Right now while my adopted/foster/bio kids are out of the house and I’m playing hooky from work, I’m pretty sure I’m pretty sure I’m still in my 20s. Yesterday, I probably was 40-something when the lady at the grocery store was like you’re daughter’s going to have such a great time going away to college. And then I was a little old lady when I caught myself thinking, gosh, kids with all of their new fangled gadgets. And the only thing I have to say to this is that I work at the JCC. I’m going to ignore all the actual sentiments and grasp onto that one relatively unimportant line in an otherwise lovely piece that scared the crap out of my soon to be twenty-something self. Don’t be too scared. There’s lots of wonderful things about your twenties too, like the ability to actually sleep in and not feel like you’re late for the world if you don’t get up until 9:30. I think it’s more like you never stop being your 20 something self. You just keep adding layers of new selves to that self until you are a delicious, if complicated, pile of pancakes. The 50 something comments are spot on. One of the best things is that you stop being afraid of things that used to scare you. I think it’s worth it just for that. So happy I stumbled upon your blog. I’m enjoying reading your posts!